PLEASE CLICK HEREFOR REGISTRATION FORM. "The Future is Now - BIM"
"How to Compete in Large Cities and Win Back Markets"
(The collective bargaining agreements, industry statistics, among other industry information is available on the website. Please review this month's LiveWire newsletter. We hope you enjoy the local and national industry updates. 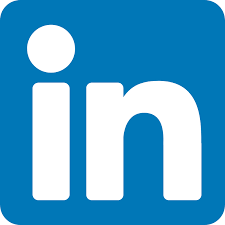 As a reminder, we also invite to join us on Facebook and LinkedIn! 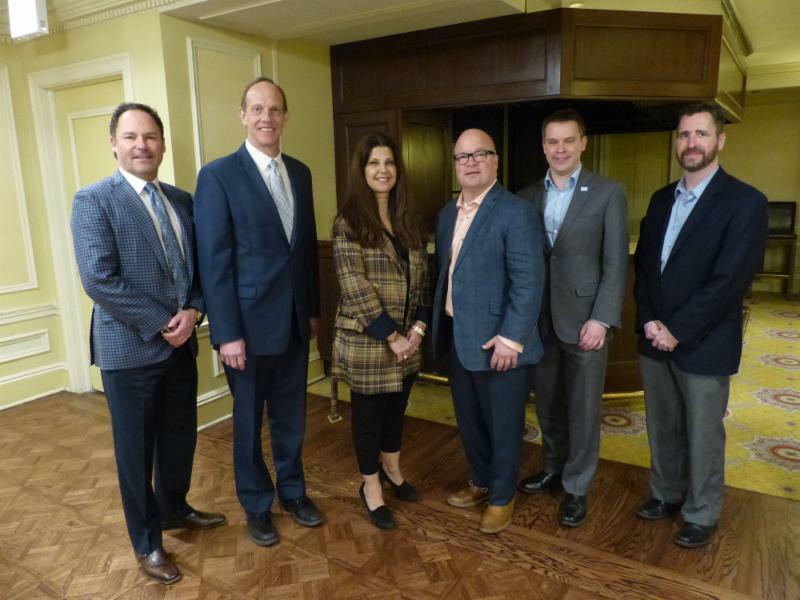 The Electrical Contractors' Association of City of Chicago (ECA) held its March Membership Meeting on Wednesday, March 13, 2019 at the Union League Club of Chicago in Chicago, Illinois. 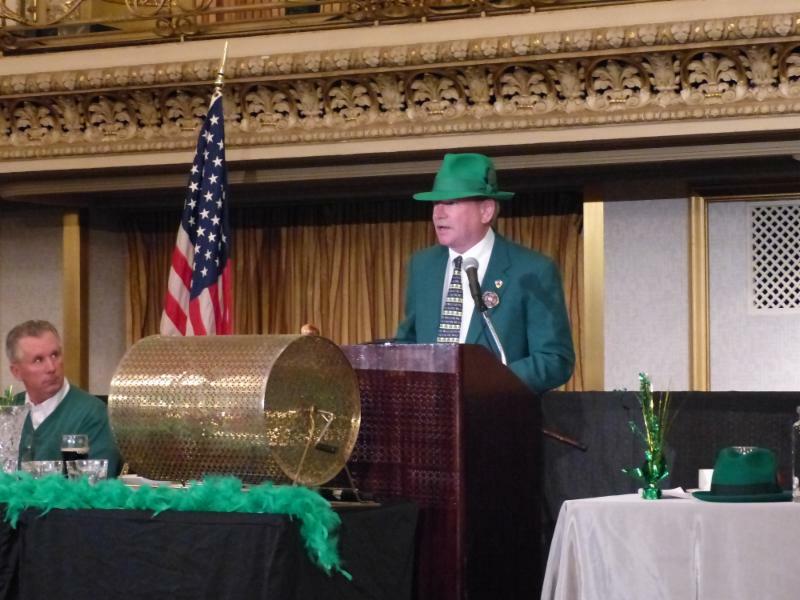 The 65th Annual Paddy's Day Luncheon was held on Friday, March 15, 2019 at the Chicago Hilton & Towers in Chicago, Illinois. Congratulations goes to Stefan Lopata, Kelso-Burnett Co. as he was this year's "Big Shillelagh!" We also congratulate David Witz, Continental Electrical Construction Company, as he was the 2019 recipient of the "Francis P. Cummins" Award. We hope that you were able to attend this unique industry event! as he addressed the attendees. The ECA Research and Education Committee has coordinated an ambitious schedule for 2019. Please click on the link below for the Program Schedule. Registration Forms / Information for these events are on the ECA website in the Community Events area. Also, initial registrations for any seminar is limited to four per member firm; however, if there are spots still available close to a seminar date, the waiting list will be reviewed. 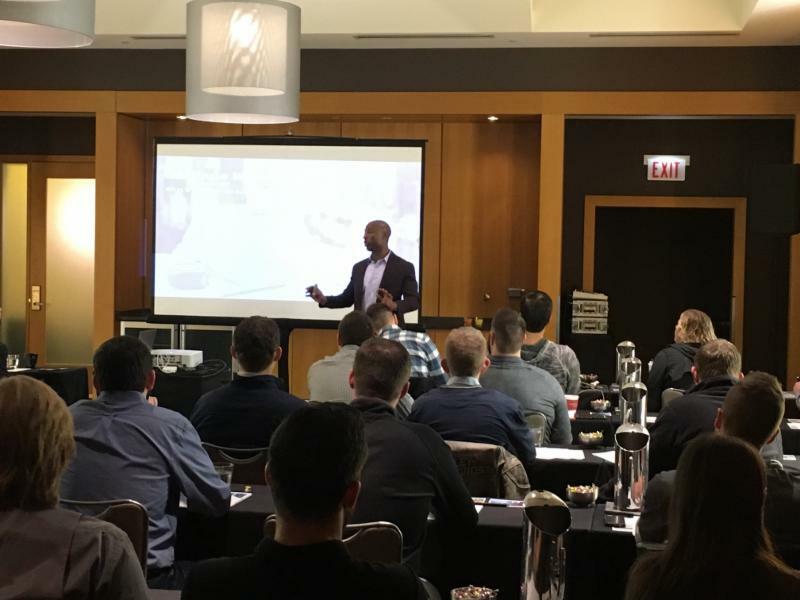 The Electrical Contractors' Association of City of Chicago (ECA) Young Professionals Committee recently held their first conference which focused on leadership skills. The one-and-a-half day event was held on February 21 - 22, 2019 at the Loew's Hotel in Rosemont, Illinois. Pictured above is Alex Willis, Leadership Surge, as he began his presentation. 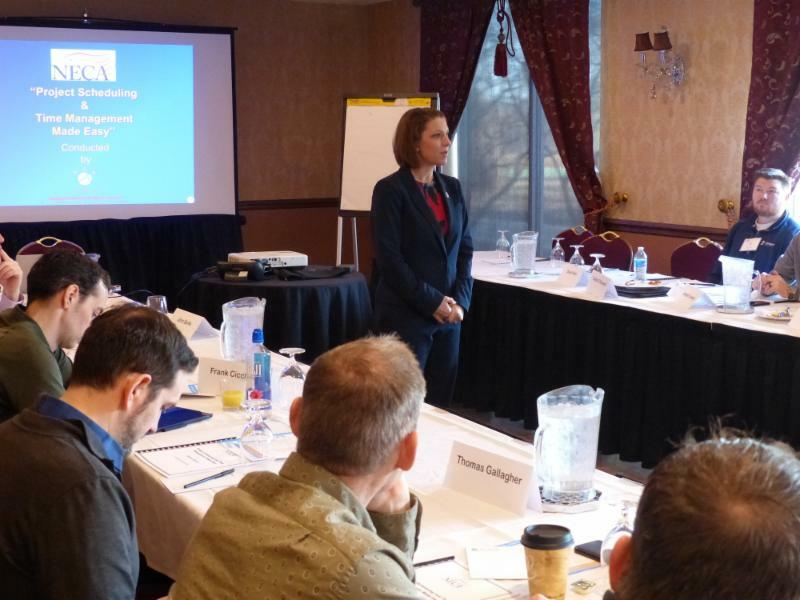 The Electrical Contractors' Association of City of Chicago (ECA) Research and Education Committee held a seminar called, "Project Scheduling and Time Management Made Easy" which was held on March 27, 2019 at the Drake Oak Brook Hotel in Oak Brook, Illinois. Pictured above is Dr. Heather Moore, MCA, Inc., as she began the program. The Electrical Contractors' Association of City of Chicago (ECA) 48th Annual Spring Conference is being held on June 5 - 6, 2019 at the Grand Geneva Resort & Spa, Lake Geneva, Wisconsin. Registration closes on April 26th! This event is for ECA members, only! The Electrical Contractors' Association of City of Chicago (ECA) Student Committee oversees the activities of the NECA IIT Student Chapter. The Committee works with the students in regard to assisting with the NECA Green Energy Challenge, networking, educating them on the many facets of the industry. 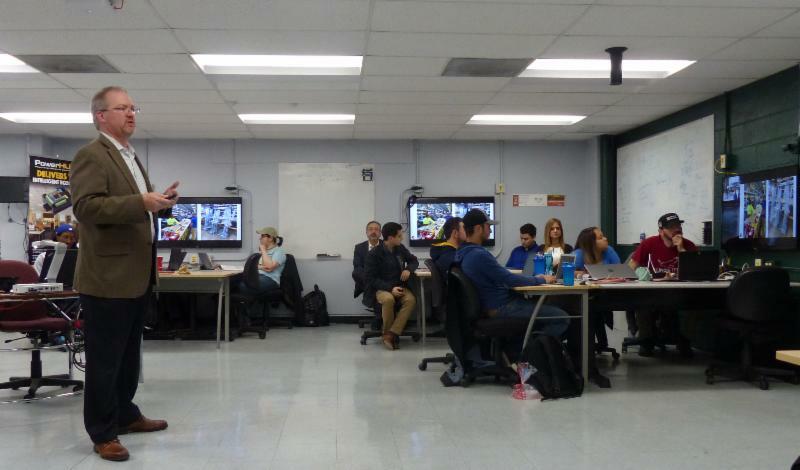 The NECA IIT Student Chapter held a meeting on Thursday, March 28, 2019 and the guest presenter was Brian Haug, Continental Electrical Construction Company who discussed, "Renewable Energy: Solar Application in the Electrical Construction Industry." as he addressed the students. 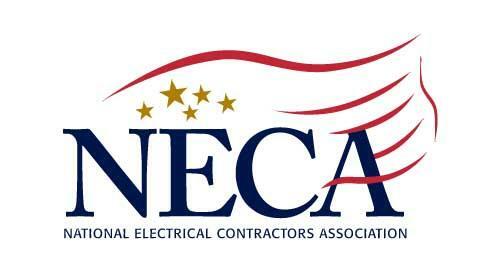 These prestigious awards recognize NECA member companies for their outstanding commitment, professionalism, and ingenuity in delivering an electrical project across 12 different market sectors. Please contact Mir Mustafa atmmm@necanet.orgwith any questions. Deadline is April 30, 2019. PLEASE CLICK HERE FOR THE PROJECT EXCELLENCE AWARDS INFORMATION. NECA invites member companies to participate in their annual Safety Professionals Conference. The event is to be held on May 15 - 17, 2019 in San Antonio, Texas. "Early Bird" Registration Fee closes on April 17th. The ECA Executive Committee recently approved a stipend for this safety conference.The Registration Fee for an ECA member and Spouse / Guest will be paid for up to two ECA Members from each ECA participating member firm. The fee will be paid to the firm after event.Reimbursement(s) to the firm(s) will be made after the Conference. Join us in Washington, DC April 29-30 for NECA's 2019 Legislative Conference. This annual meeting is the premiere legislative conference for electrical contractors to hear about the top issues affecting the industry and to meet the leaders who are working to provide real solutions. This conference is about policy, not partisanship. Accordingly, leading members from both sides of the political aisle will be on hand to brief participants on the latest happenings on Capitol Hill. During the Conference, NECA will use its collective voice to advance its top legislative issues on behalf of our industry. Participants will take part in issue briefings and engage with Members of Congress and Washington insiders while gaining a first-hand perspective on the legislative process. Registrants will have the opportunity to meet with their Members of Congress in their offices as well as legislative leaders at the Congressional Reception at NECA's office on Capitol Hill. STIPEND AVAILABLE FOR THIS SPECIAL EVENT! The Electrical Contractors' Association of City of Chicago (ECA) Executive Committee has approved a unique stipend for this event. The Registration Fee will be covered for up to the first ten ECA members that register and attend the Conference. Also, accommodations and airfare expenses for up to $1,000.00 will be included for these individuals. All reimbursements will be made after the Conference. HOTEL REGISTRATIONS MUST BE MADE BY APRIL 5, 2019. 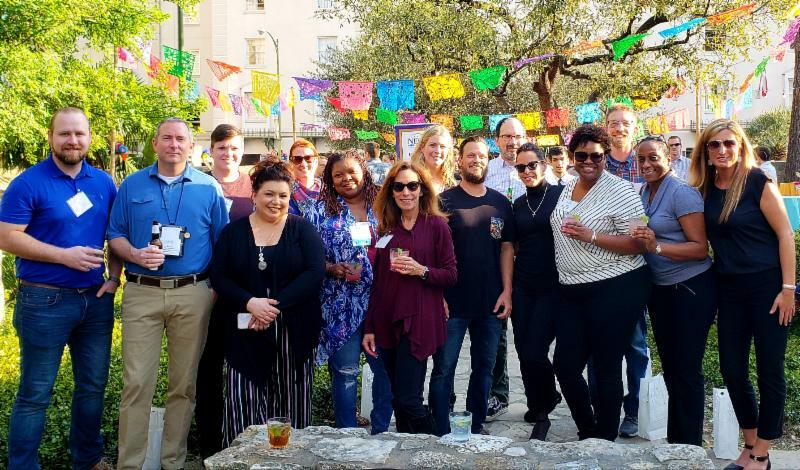 The WIN Leadership Summit was held, March 19 - 20, 2019 at theWestin Riverwalk inSan Antonio, TX. The Future Leaders Conference was held, March 20 - 21, 2019 also at theWestin Riverwalk inSan Antonio, TX. Both conferences featured expert speakers, group discussions and networking opportunities. We also wish to thank Mr. Jerry McGlynn, ECA Safety Committee Chairman, NECA Safety Task Force representative, McWilliams Electric Company, Inc., as he was a guest speaker at the Future Leaders Conference! We thank all those representing the Chicago & Cook County Chapter, NECA! Chicago & Cook County Chapter, NECA at the two events. The 2019 NECA Convention & Trade Show will be held September 14 - 17, 2019 at the Mandalay Bay Resort in Las Vegas, Nevada. Registration opens May 16, 2019. More details to follow soon. We hope to see you, there! The ECA Executive Committee recently approved a stipend for the NECA Convention & Trade Show.The Registration Fee for an ECA member and Spouse / Guest will be paid for up to two ECA Members from each ECA participating member firm. The fee will be paid to the firm after event.Reimbursement(s) to the firm(s) will be made after the Confvention. 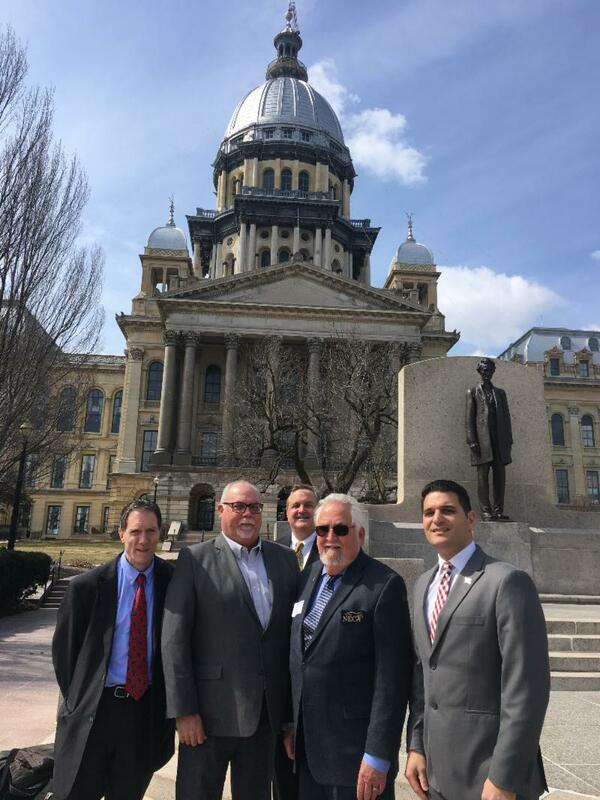 The Illinois Mechanical and Specialty Contractors Association (IMSCA) is, again, focusing its legislative efforts in the Illinois General Assembly regarding Retainage Reform. Senator John Mulroe is a sponsor of IMSCA's proposed legislation. 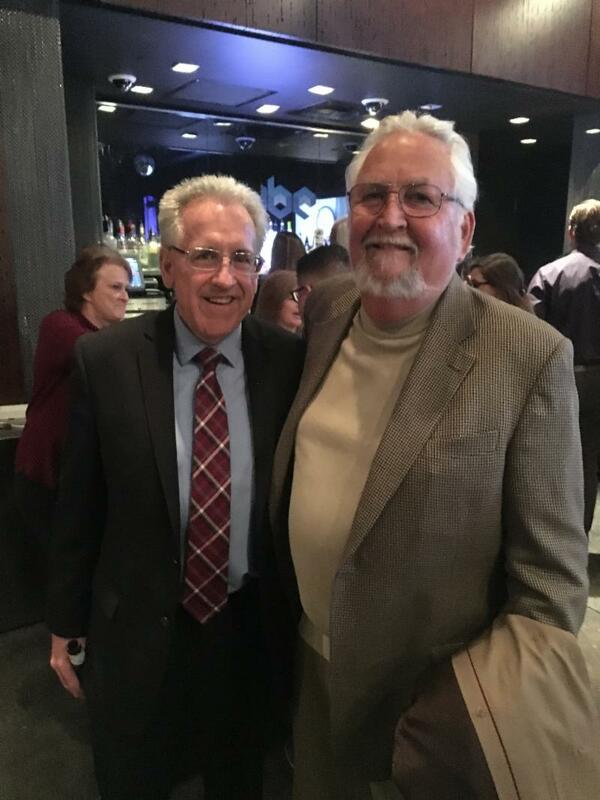 A number of IMSCA members were able to participate in a recent fundraiser for Senator Mulroe on Friday, March 8, 2019 at Rivers Casino in Rosemont, Illinois. We thank the members for their continued assistance with the retainage reform effort. Senator John Mulroe and James McGlynn, Sr., ECA Legislative Committee Chairman, McWilliams Electric Company, Inc. at the event. IMSCA's 2019 Lobby Day event was held on Tuesday, March 19th in Springfield, Illinois. This year's event featured guest speaker, Senator John Mulroe. Back Row: Scott Dworschak, Eastern Illinois Chapter, NECA. IMSCA-PAC's 2019 fundraising effort is underway!THANKS to the generosity of our IMSCA members for prize donations, SIX RAFFLE WINNERS will be drawn this year!Tickets are $50 each.Each ticket purchased buys you a chance to win the prize of your choice. FOUR tickets to cheer on the Chicago Bears at Soldier Field (Date TBA).This prize also includes parking passes and a $250 Hilton Hotels gift card (Value: $1,300.00).Donated by Tom Morton, LLD Electric Company and SMACNA Greater Chicago. FOUR tickets to cheer on the Chicago Blackhawks vs. St. Louis Blues at the United Center (Date 2019-20 TBA).These are 200 Club Level seats with parking passes.This prize also includes a $250 Hilton Hotels gift card (Value: $750.00).Donated by Jim McGlynn, McWilliams Electric Company and SMACNA Greater Chicago. $500 Amazon gift card.Donated by Illinois Plumbing Heating Cooling Contractors Association. $500 Cabela's gift card.Donated by Electrical Contractors Association of Chicago. $500 Best Buy gift card.Donated by PCA Midwest/Plumbing Council. $500 Bass Pro Shops gift card.Donated by Illinois Chapter NECA. This is a great fundraiser package containing something for everyone.The winning tickets will be drawn at IMSCA's Board and Membership meeting on June 14, 2019.The winners do not need to be present to win. For a listing of coursework available through the Construction Safety Council (CSC) for the month of April 2019, please click on the link: www.buildsafe.org. Stay on top of monthly data for our industry: number of contractors active, quantity of people employed and total hours worked. 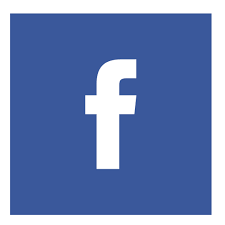 PLEASE CLICK HERE TO VIEW STATISTICS.